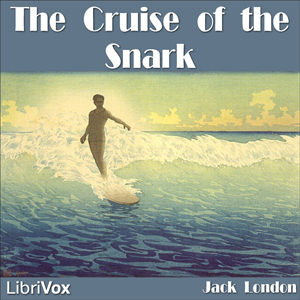 The Cruise of the Snark (1913) is a memoir of Jack and Charmian London's 1907-1909 voyage across the Pacific. His descriptions of "surf-riding", which he dubbed a "royal sport", helped introduce it to and popularize it with the mainland. London writes: Through the white crest of a breaker suddenly appears a dark figure, erect, a man-fish or a sea-god, on the very forward face of the crest where the top falls over and down, driving in toward shore, buried to his loins in smoking spray, caught up by the sea and flung landward, bodily, a quarter of a mile. It is a Kanaka on a surf-board. And I know that when I have finished these lines I shall be out in that riot of colour and pounding surf, trying to bit those breakers even as he, and failing as he never failed, but living life as the best of us may live it. Excerpted from Wikipedia.